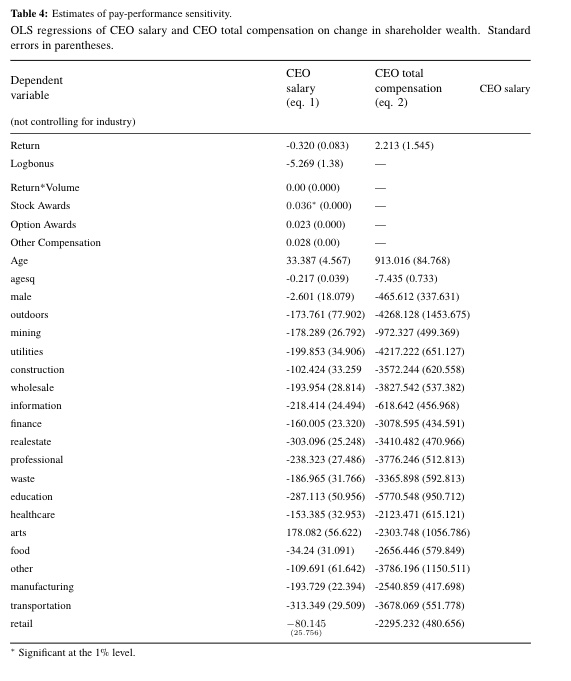 OLS regressions of CEO salary and CEO total compensation on change in shareholder wealth. Standard errors in parentheses. Table too wide, first column too big? LaTex Multicolumn Bar Too long, bug?